I can’t sleep. Random thoughts are tossing and turning in my head. A salad of doubts, dreams, plans, things and people. It hit me. My relationship with the guy-next-door/childhood friend is hitting 10 years next month. Slap me. It’s been a decade? I’ve been asking my friends who are already on residency training if they’re happy. I’m currently doing nothing medically related. It gets boring but this is where I want to be right now.I don’t miss the hospital and I’ve never worn my white coat since I got my license. I feel like a college student on a summer break. I spend half the day flipping channels —AXN, Fox, Star World. I spend 2 hours watching CSI everyday. I’ve seen the back-to-back Flashforward episode twice, watch reruns of Glee over and over again and I watch House MD with my Internal Medicine textbook beside me. My Globe Tattoo is my best friend at night for surfing the net—bloghopping and this unshakable habit of checking my Facebook for updates. I just finished reading The Inheritance of Loss by Kiran Desai and I finally finished reading Junot Diaz’s The Brief Wondrous Life of Oscar Wao. I bought the latter a year ago and never got to the end of it until last night. I went to the farm today with my parents. 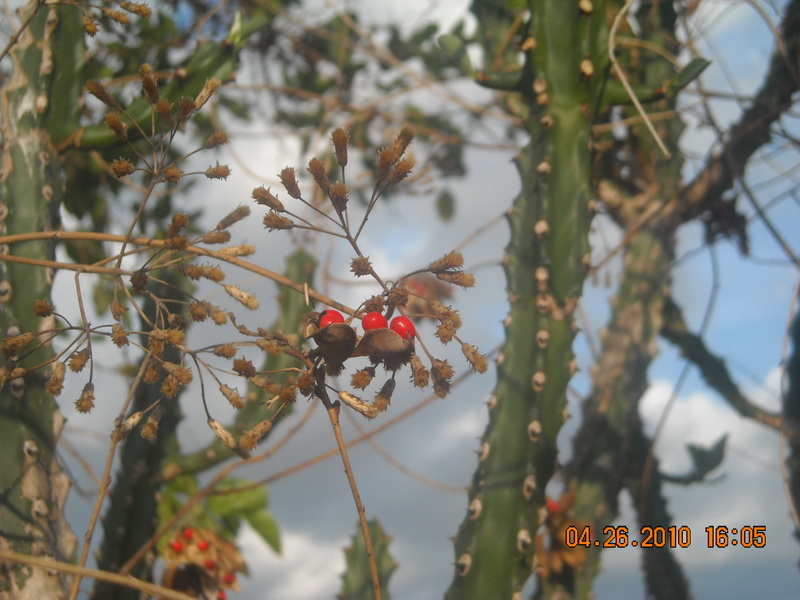 I took some pictures, most of them were lame.The plants were all withered anyway and everything was just a mass of green and brown until I saw specks of red. 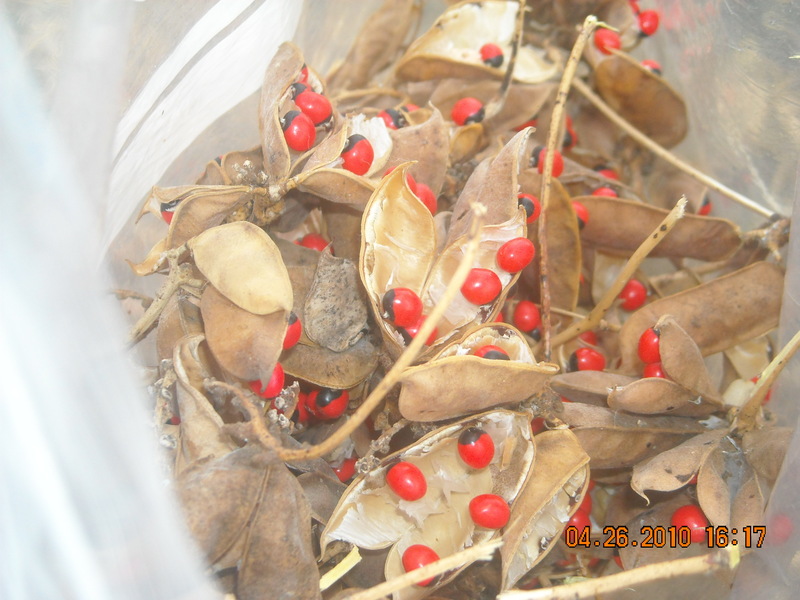 These red seeds in a pod caught my eye. We call them oyangya.The color just fascinates me. I’m till thinking whether I should send my application to the Doctors to the Barrios program (DTTB). I just don’t know what to do first. I’ll sleep on these thoughts.